Citizen Relations today announced several senior-level additions to its rapidly growing public and corporate affairs practice, providing a truly national offering. 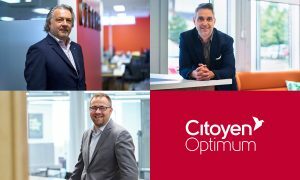 In recent months Citizen Relations has welcomed François Vaqué as Vice-President, Corporate and Public Affairs at Citoyen Optimum in Montreal, Stephen Smart as Vice-President in Vancouver, and Michael MacMillan, who joins the Toronto office as Vice President. Together they join a team of veteran strategists across Canada who have worked with Prime Ministers, Premiers, Fortune 500 business leaders and heads of national associations, delivering expert counsel in public and media relations, crisis communications, executive visibility, stakeholder relations, media training, content development, and more. As an award-winning, integrated, strategic communications agency, Citizen Relations specializes in harnessing the power of insights and conversations to shift public opinion. Clients of our corporate practice benefit from this deep understanding of consumer behaviour. Our in-house research capabilities are critical to understanding and shifting audience and stakeholder sentiment, while the deep creative and experiential talent at Citizen Relations can be called upon to deliver messages with impact. François Vaqué honed his strategic leadership skills over the course of a 20 year career in strategic communications, including Global Head of Marketing and Communication for the international audit practice at KPMG. A former journalist, Stephen brings nearly 20 years of communications and media experience, including serving as Press Secretary to the Premier of British Columbia. For the past 15 years Michael MacMillan, a former technology reporter, has provided strategic counsel to a diverse range private and public sector organizations in the tech and retail industries, including some of world’s most recognized brands.